Hungary has claimed that its fences on the borders with Croatia and Serbia have helped to cut the inflow of migrants by 99.7 percent since 2015. The small inland nation now has one quarter of the length of its borders protected by a fence. “The number of successful attempts to illegally cross the border fell from 391,000 in 2015 to 18,236 in 2016 and only 1,184 in 2017,” the Hungarian prime minister’s chief security advisor, Gyorgy Bakondi, told reporters at a press conference marking the second anniversary of the closure of the Hungarian-Serbian border on September 15. Bakondi then said that such significant drop in the number of illegal migrants entering Hungary was “primarily the result of successful Hungarian border security” as he referred to the razor-wire fences erected by Hungary on its borders with Serbia and Croatia at the height of the refugee crisis. “The system of technical barriers is the key to the success of border security, and without it, it would be impossible to stop the mass arrival of immigrants,” the senior advisor added. Facing a massive inflow of refugees and migrants, who tried to reach Europe via the so-called Balkan Route, Hungary accused the EU of being “too slow to act” and started construction of its first barrier on the border with Serbia back in June 2015. The first construction phase was completed on September 14, 2015, and the border was closed the day later. The 175-kilometer-long, 4-meter-high fence allowed Hungary to temporarily deflect the migrant flow to neighboring Croatia. However, Croatia then again directed the migrants toward the Hungarian border, prompting Budapest to approve the construction of a second fence in September 2015. The 348-kilometer-long fence was completed less than in a month and Hungary closed its border with Croatia on October 17, 2015, leading to the migrants being diverted to Slovenia. 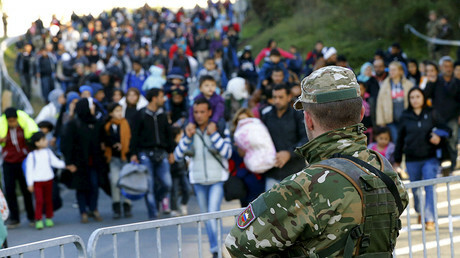 The further refugee and migrant inflow to Europe was reduced by the closure of the Balkan Route that was facilitated by the Slovenia, Croatia, Serbia, and Macedonia that agreed to let in only those refugees, who had credible ID papers and wanted to apply for asylum in one of those countries in March 2016. Around the same time, the EU reached a deal with Turkey that agreed to halt the migrant flow into Europe in exchange for funding. However, the Hungarian politicians still stress the importance of the border fence in dealing with the refugee crisis and “protecting” Hungary and Europe. Budapest is also apparently intended to go on with this practice and keep its border wall that is now more than 500 kilometers long and covers about one-quarter of Hungary’s 2,100-kilometer border. “The measures introduced in the interests of protecting the border continue to be necessary; it is thanks to these that the number of migrants entering Hungary illegally and in an uncontrolled manner has fallen drastically,” Kovacs said. 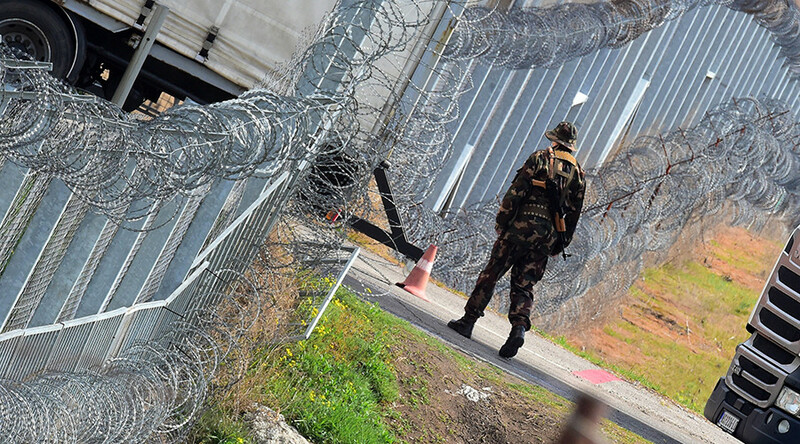 Hungary already enhanced its fence built on the Serbian border in 2015 with a larger barrier. Its construction was approved in August 2016 and finalized in April 2017. The Hungarian border fence has been repeatedly criticized by other European countries, as well as by EU politicians, but Budapest has resisted pressure to demolish it. In late August, Hungarian Prime Minister Viktor Orban requested financial compensation from the EU totaling half of the cost of the border defense measures, arguing that the move helped to protect not only Hungary but also the rest of Europe. The walls have “been financed entirely by Hungarian taxpayers,” but the fence and the Hungarian security forces “are not only protecting Hungarians, but Austrian, German and other European Union citizens as well,” he stated. His demands were rejected by European Commission President Jean-Claude Juncker, who instead pointed out that Hungary lacks “solidarity” with the rest of the EU as it refuses to fulfill its obligations under the refugee relocation quota. "We do support border management measures at the external borders. This can be surveillance measures. It can be border control equipment... But fences, we do not finance," the European Commission spokesman Alexander Winterstein said, commenting on the issue. In the meantime, Hungary is engaged in a bitter row with the EU over the refugee relocation quotas, together with Poland and Slovakia. The issue dates back to the EU decision made in 2015 to rehouse some 160,000 refugees from Greece and Italy over a period of two years, only around 27,700 of whom have been settled so far. Hungary and Poland have refused to take part, while Slovakia has only taken in a small number from Greece. In 2015, Hungary and Slovakia also appealed to the European Court of Justice, asking it to annul the EU decision to relocate migrants.